Hi everyone, Cheri here to show you another project of the week for Repeat Impressions and The House That Stamps Built. 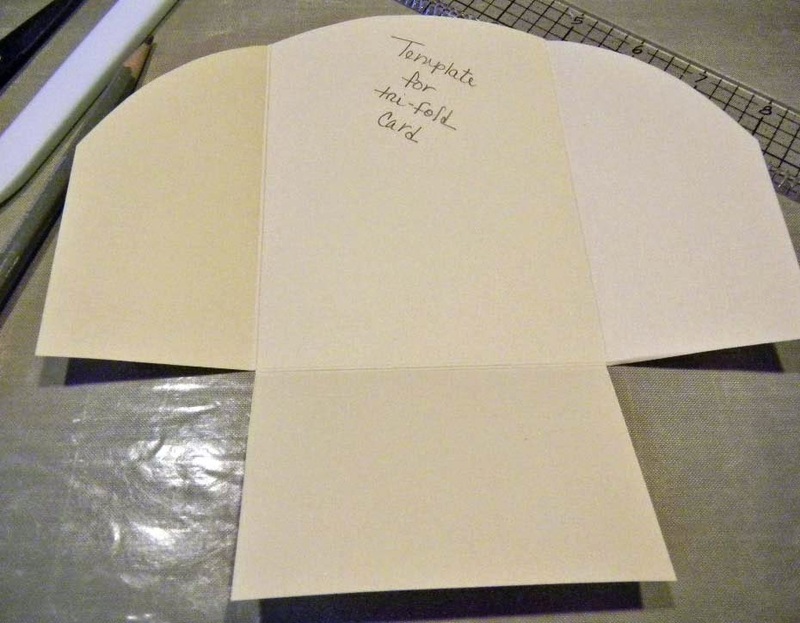 If you like making and giving interesting fold cards you might like to try this one. It's called a "trifold pocket card" I found on Splitcoaststampers. Here are the supplies you'll need. a dinner plate or some other round object for creating the curved top edge. Step 1 - Score the 8 x 8 1/2 piece of card stock at 2 1/4 and 6 1/4. Step 3 - Cut the outer 2 1/4 x 2 1/2 scored panels off. Step 4 - With the dinner plate, trace an arch on the top of the trifold. Step 5 - Cut the around the arch with your scissors. Step 6 - Pre-fold all score lines with your bone folder and add any ribbon or decorative edging to the curved edges of the card. 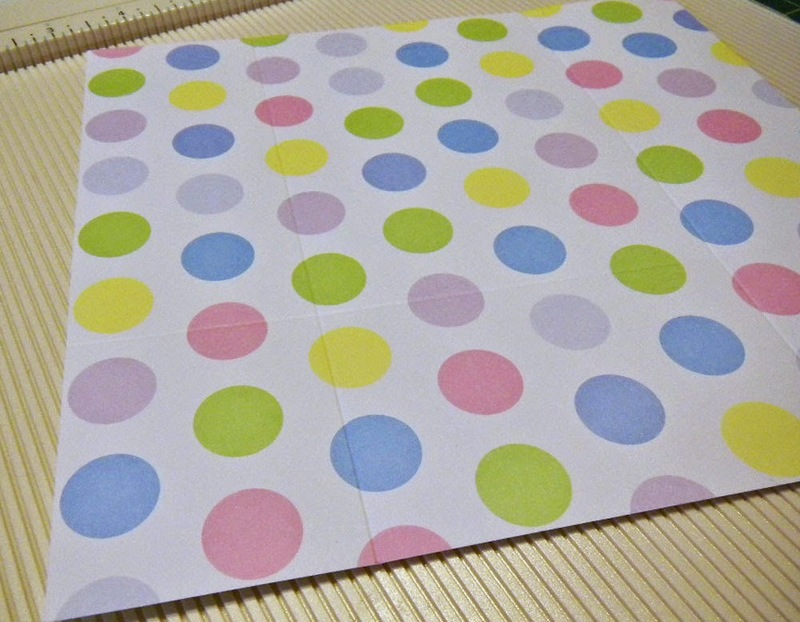 Step 7 - Fold the sides in and tape the bottom to the card. Step 8 - Decorate the 1 3/4 x 8 /12 strip of paper if you are going to do that. Step 9 - Score the strip at 4 1/8 x 8 1/4 and add the adhesive tape to the the 1/4 edge and secure the strip together. 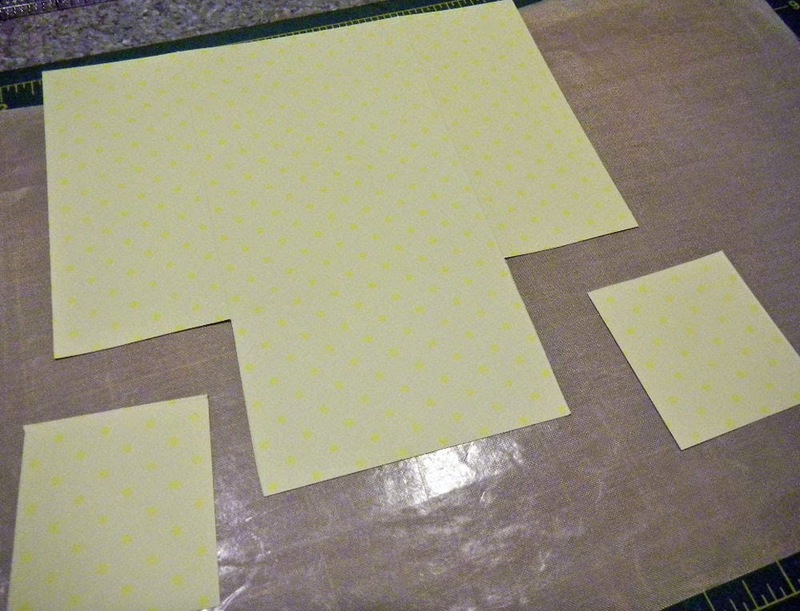 The card insert can be arched like you did with the card base, or you can punch decorative corners like I did. This is an easy card to make and assemble and you can easily mass produce it by making a template to use over and over again. Which is what I did. Here is my assembled card. 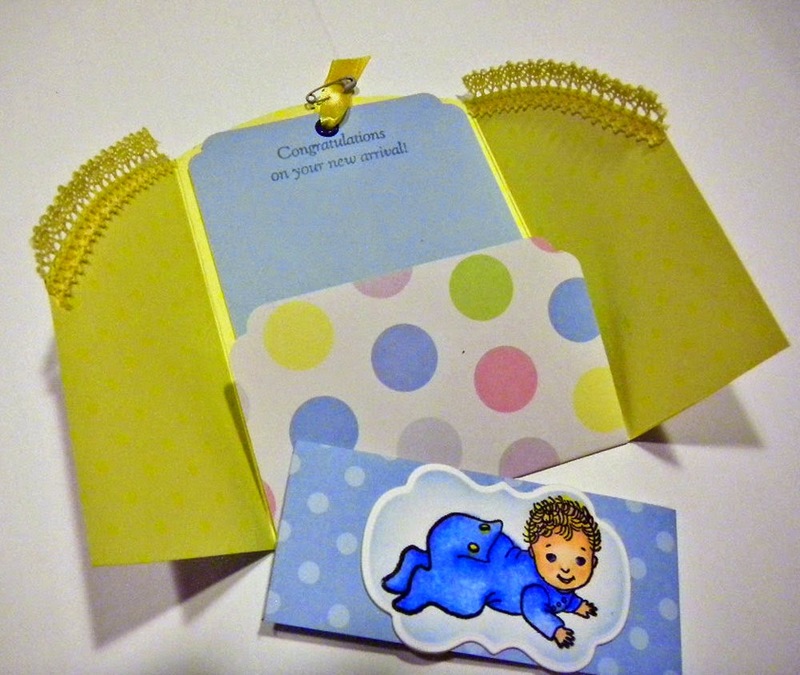 The Stamps I used for this card are RI #1607-I "Baby" and for the sentiment RI #4416-F "New Arrival". I hope you give this project a try. If you have any questions, please feel free to email me. What a fun card, Cheri! I love 'Interactive' type cards, or cards with great folds - this one makes me eager to give it a try! Beautiful image choice, and love the pretty papers! Perfection, my friend! Cheri- what an awesome creation! Beautiful ! Thanks for the great tutorial SS. Always nice to try something different. Cute image and lovely card.